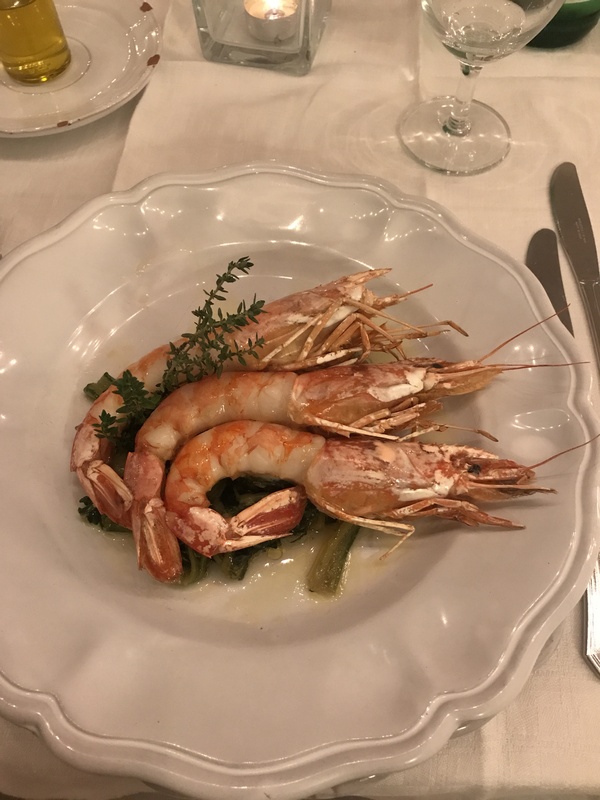 Shrimp with sautéed greens from the garden at Masseria Potenti. The greens underneath were fiery with spice and full of flavor. This was one of my best dishes of the trip.